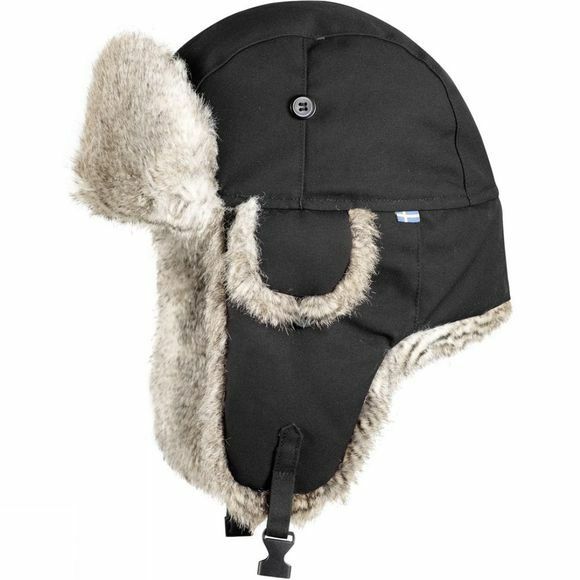 The Singi Heater Hat from Fjällräven is an ideal hat for exceptionally cold temperatures. It has a faux fur lining to keep you toastie and G-1000-Heavy Duty fabric as the shell for great protection against the elements. There are also folding outer ear-flaps with holes underneath them to ensure you retain as much of your hearing as possible while out exploring.